Looking to flex your creative muscle? You don’t have to be a Da Vinci or Van Gogh to have a famous time at Cork and Canvas. Crowning themselves as the first “paint and sip studio” in Australia, Cork and Canvas’ main game is to make sure you walk away with a masterpiece your mother would be proud of. After recently opening in Sydney, the studio decided to celebrate with a number of themed painting sessions to help you flex your painting muscles. 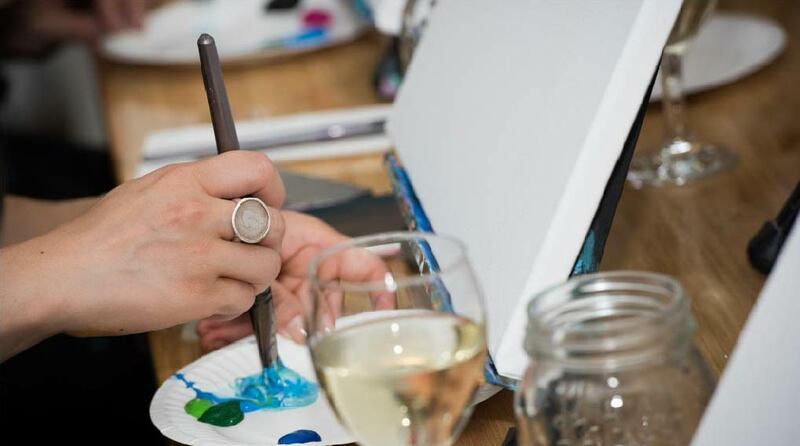 Don’t worry if you don’t own a set of acrylics (or a creative streak), they’ll provide all the expertise, arty stuff and glassware you can handle, just BYO nibbles and muchos party drinks for liquid courage. Cork n Canvas Sydney offers the best of both worlds. Thank you to ELIZA SHOLLY of the AUSTRALIAN TRAVELLER for her article and naming Cork and Canvas as her number 1 pick of the 9 amazing things to do in Sydney in winter!